Fetch.AI has joined the Trusted IoT Alliance (TIoTA) to collaborate with major corporates as well as AI and blockchain start-ups on distributed ledger enabled IoT projects. The TIoTA counts Bosch, Telekom Innovation Laboratories, Cisco and Gemalto amongst its corporate members offering facilitated engagement opportunities for innovative distributed ledger start-ups. Softbank recently forecast the IoT will be made up of a trillion connected devices creating over $11 trillion in value by 2025. As IoT devices begin to generate vast amounts of data, that data will increasingly be securely distributed using blockchain and finally consumed by AI technologies that deliver improved solutions. With its ability to support autonomous agents, and to share predictions based on data amongst distributed parties, Fetch.AI is ideally placed to ensure an intelligent IoT. Fetch.AI’s unique, highly scalable infrastructure provides the search and discovery function and autonomous value exchange necessary for digital agents to deliver an intelligent IoT. Fetch.AI agents will represent networked real-world assets to ensure these devices can autonomously maximise their own usage and value. Similarly, for IoT sensors the Fetch.AI network means that data streams can be monetized, bringing far more of the world’s data into play, from which all participants of the network benefit. Fetch.AI will work with the TIoTA on its cross-industry projects to build the future economy by delivering a secure and scalable IoT ecosystem. Fetch.AI’s developers will be participating in the upcoming ‘Trusted IoT Challenge’ and ‘MOBI Grand Challenge’, designing autonomous agents to enable autonomous charging of electric cars. The news is one of several recent major steps forward for Fetch.AI. The latest deployment of its technology is in collaboration with Clustermarket, the online sharing platform for scientific equipment, and GE Healthcare Life Sciences. Autonomous agents running on the Fetch.AI decentralised test-network are helping both users and laboratories improve the utilisation of specialised equipment through personalised predictions. Fetch.AI is based in Cambridge, UK with development talent across the globe. Fetch breathes life into machines, data, services and infrastructure with digital representatives called Autonomous Economic Agents™ that can trade autonomously and unsupervised. Fetch delivers a unique, decentralised digital world that adapts in real-time to enable effective, friction-free value exchange. Powered by innovations such as the world’s first Smart Ledger, Fetch has digital intelligence at its heart: delivering actionable predictions, instant trust information and enabling the construction of powerful collaborative models. With unrivalled performance and scalability, Fetch is the missing critical infrastructure for tomorrow’s digital economy. 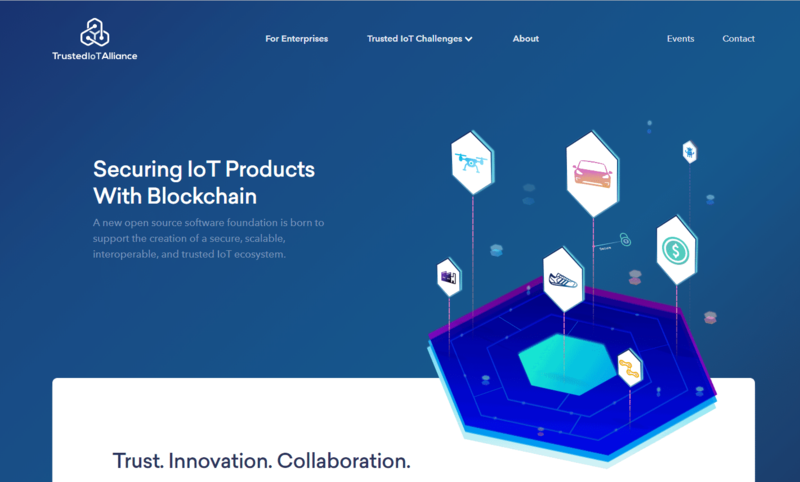 TIoTA is a result of the collaboration amongst passionate technologists working to leverage blockchain infrastructure to secure and scale IoT ecosystems. TIoTA seeks to enable trust in the data produced by such IoT systems in a distributed ledger/blockchain agnostic fashion, thereby enabling a decentralized trust model for interoperable digitized identities of physical goods, documents, immobilized assets, sensors, and machines.